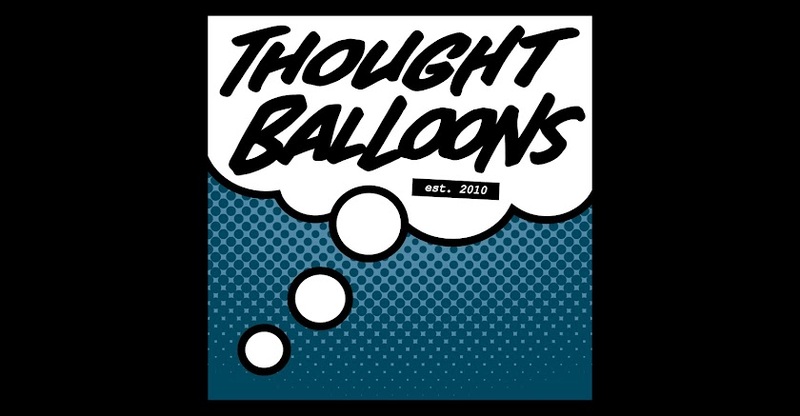 Thought Balloons - Creating Comics One Page At A Time: Why The Rarebit Fiend? 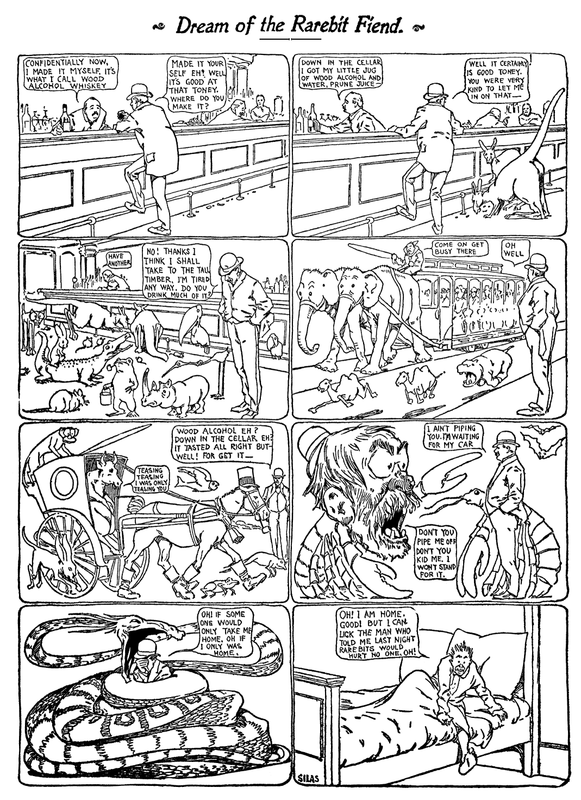 Dream Of The Rarebit Fiend is a pretty great strip, with an amazing framework, in which anything, as in dreams, is possible. 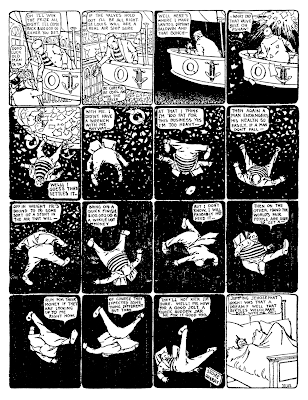 Written under the pen name Silas(it was for contractual reasons, because the comics business in 1904 was cutthroat as hell) by Little Nemo creator Winsor McKay, the strip began in 1904, and ended 9 years later in 1913. 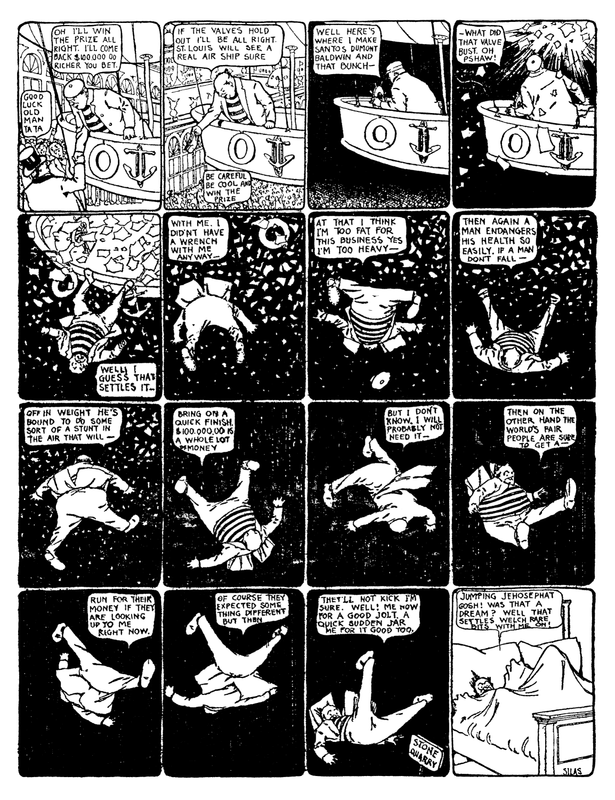 The strip had a common flow: a dream, always with a different dreamer, begins somewhat normal, gets weird quick, and before it hits the bad end of the weirdness, that classic cliched ending: It was all a dream caused by those damnable rarebits. But that doesn't make it unfulfilling. It makes it predictable, yes, but it's not about the destination, it's about the crooked, though somehow alluring, flow of the dialogue and the strange situations McKay draws up before pulling the rug at the last moment. If you want to join in, c'mon, man! The comments section is open and consenting. 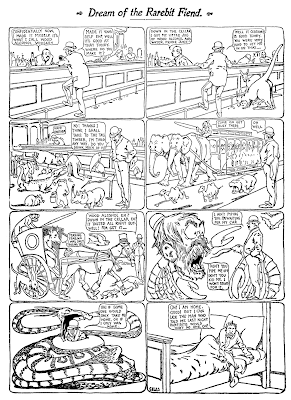 If you'd like to read more of these damnable rarebit comics, you can find them, along with McKay's own Little Nemo and George Herriman's classic Krazy Kat at The Comic Strip Library. Fair warning, it can get pretty 1900s-era type bigoted at times, so keep that in mind. Labels: Niel Jacoby, The Rarebit Fiend, Why, Why?